There was a time when in the front wall of the classroom there were giant blackboards, now there are smooth whiteboards and screens. In today’s era, where more and more technology is in use, it may seem that the age-old cursive writing is a dying art. However, recently we have noticed that more schools are coming back to practice penmanship. Research shows that just in the past year, Alabama and Louisiana passed laws mandating cursive writing in public schools. 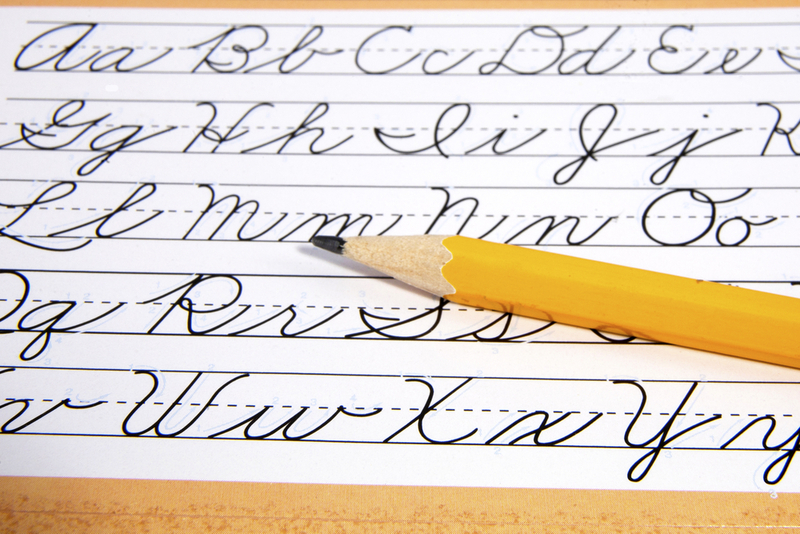 Last fall, New York city introduced cursive writing in their third-grade curriculum. The way a child first learns to write coincides with the style of cursive writing. When children first start writing, they typically make curves or loops, while straight lines, especially those that cross over each other, are actually very difficult for them to write. It is naturally intuitive for a child to make these curves and loops because they flow together easily. Cursive writing has also proven beneficial for children with learning disabilities, like dyslexia, who have fewer issues with the writing style because they have less trouble identifying letters that they would normally mix up in print, such as b, d, and p. Left-handed children also find cursive writing easier because the start and stop nature of print does not flow like the fluid nature of cursive. Cursive is a great tool for cognitive development because the act of writing in cursive requires the use of more than one part of the brain. When children write in cursive, the brain practices maximum efficiency through “functional specialization.” This occurs when our brains have to process more than one thing a time, therefore strengthening the brain and preparing it for more complex skills and tasks. As children write in cursive, they are essentially focusing on several things: the formation of the letters, the sensation of writing, and reading the words. This exercise of forcing the brain to focus on several things at one time provides optimal results. Cursive writing is also a type of “haptic learning,” which involves the interactions of brain function, hand movements, and touch. Sensitive haptic learners benefit from the multi-functional practice of cursive. Knowing how to write in cursive also expands to other aspects of a child’s cognitive development and has been found to improve other aspects of learning as well. Some studies have shown that children who practice cursive writing scored better on reading and spelling tests. Dr. Maria Montessori taught her students in cursive because it was simply the way writing was done at the time. Knowing what we do today about the many benefits of cursive, Montessori schools have wisely chosen to keep this tradition alive by incoroporating it in the curriculum and continuing to teach students to write in cursive. After all, cursive is the language of history and many important historical documents in the United States were written in cursive. Without knowing how to read in cursive, students do not have the privilege of reading the original copies of such works like the Declaration of Independence and the Bill of Rights. 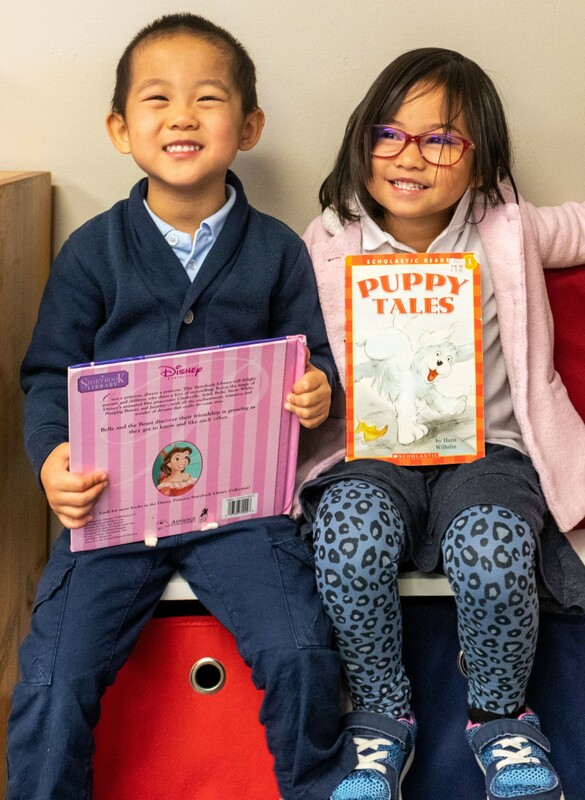 At Silverline Montessori, we acknowledge all the benefits that cursive writing has to offer, which is why we start teaching it to our students beginning in first grade. One of our curriculum goals at the elementary level is to develop effective communication skills. We believe that cursive is a valuable tool in fostering communication skills. Cursive writing has been a very interesting and critical curriculum component in our classrooms at Silverline. It’s restored a joy in penmanship among the children and parents. There are always writings posted on the walls for them to admire their own work.